I had to add this room, just because I like it so much. 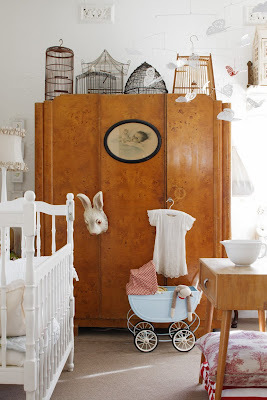 The art deco armoire is beautiful, the collection of vintage cages, which I am so crazy about lately, and the mobile create a whimsical setting. The antique toy stroller is also very cute.